Storytelling With Lots of Energy and Bundles of Fun! ‘Story Time With Alex’ has proved a great success for children up to the age of six. I re-enact and bring to life popular stories in rhyme that most children are familiar with in or outside of school. Although I describe myself as a "storyteller", I am from an acting background so I perform the stories in my repertoire from memory and play all the different characters using costume props and masks, my physicality and voice work. The children I perform to are always very enthusiastic and like to join in which I encourage with the repetition of catchphrases and lyrics. The perfect children's entertainment for corporate events, family fun days, children's birthday parties or primary school visits. As I am a very animated and vocal story-teller, I limit my performances to twenty or twenty five minutes per session and you can book as many session as you wish for your event. This in my experience, is also the perfect length of time children of all ages like to stay seated for. I can theme my story-telling around any traditional event such as Halloween, Christmas or Easter, and tailor my performances to fit the running of any special occasion, birthday, corporate function or family festival. I always arrive at least thirty minutes prior to the start of my first set (or up to sixty minutes earlier for big events) to assemble my back drop and dress my performance space. I perform in front of a curtain back (to give that theatrical feel) and display my props/costume accessories which I use when playing all the different characters from the books I perform. If the venue is particularly large or outdoor, I also bring amplification in the form of a head microphone and PA speaker. This set up is always included in the performance fee and my clients really do love it. It's something different to really add that element of intrigue and excitement to your event. 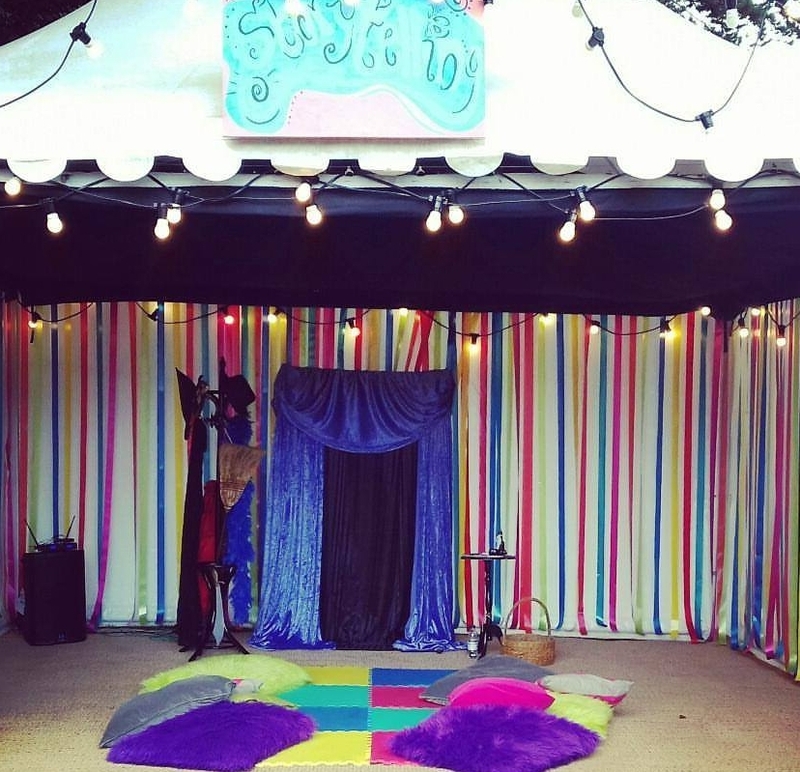 Contact me here to discuss my storytelling shows for your event or party. I would be delighted to hear from you and I really look forward to working with you in the future. Keep updated on where you can see my storytelling on my shows page.